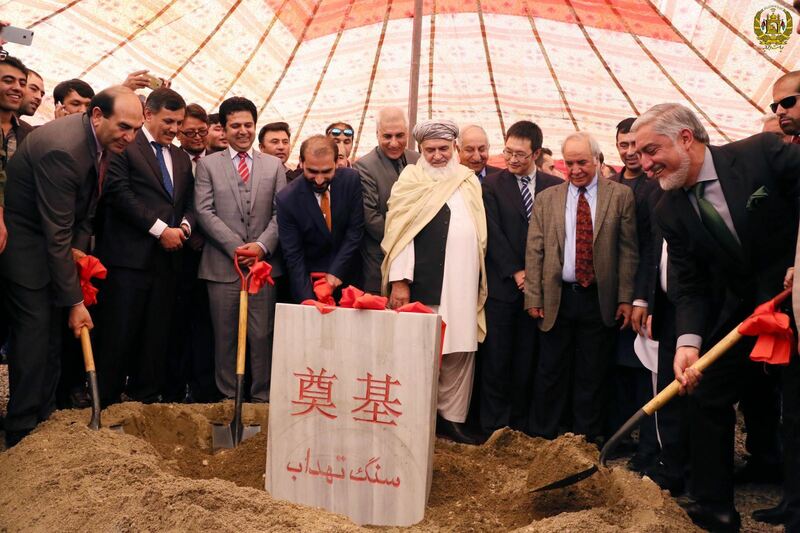 The foundation stone of the building of the meeting hall (auditorium) and the teaching department of Kabul University were laid with presence of the Chief Executive and the officials of the Ministry of Higher Education and of the University of Kabul. The project is being implemented by the People’s Republic of China at a cost of nearly $ 60 million, which was agreed upon by the President and the Chief Executive. Dr. Abdullah, who spoke at the special program held for opening the project, said implementation of the project, in a valid scientific-historical institution, would be a lasting symbol in the history of the two countries. The Chief Executive stated, "China, as a good neighbor for the past 16 years, has done great and effective contribution to Afghanistan in all areas, especially in reconstruction of Afghanistan." Dr. Abdullah added: "China and Afghanistan have had good relations throughout the history, and trade exchanges have linked the peoples of the two countries for ages." The Chief Executive expressed satisfaction with the work done at the University of Kabul and noted that the university has had an effective contribution to construction, capacity building of the youth, creating job opportunities in the private and public sectors. Mr. Farooqi described the plans of the University for capacity building of lecturers, creating educational opportunities for students, developing a two-year strategy, establishing scientific research centers to the Chief Executive and called for paying attention in these areas. Also, Dr. Abdul Latif Roshan, Acting Minister of Higher Education described the project as a sign of the friendship and goodwill of the two countries. Mr. Roshan also reported on the plans of the Ministry to make distinction between research and teaching colleges, develop balanced programs on the basis of the needs of the faculties, and create a department for translation, research and master degree. 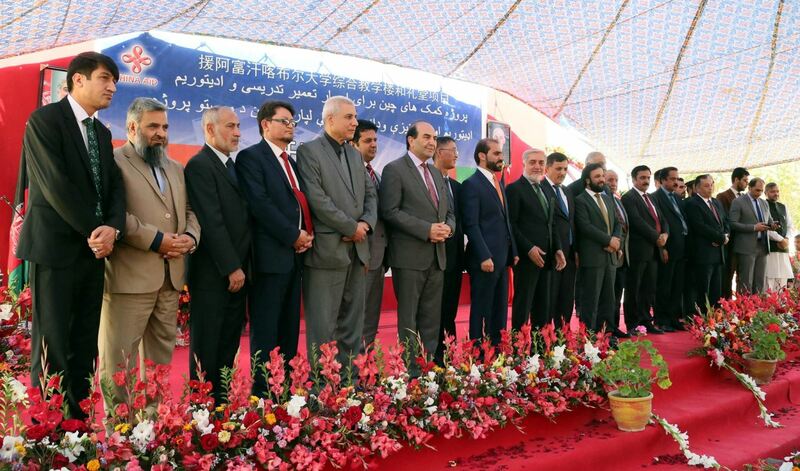 In the program, Mr. Yao Jing, Chinese ambassador to Kabul emphasized on the expansion of bilateral relations and continued cooperation between Kabul and Beijing, saying that Afghanistan and China have been good neighbors. The Chief Executive assured the officials of the Ministry of Higher Education and of Kabul University and said, "We consider promotion of higher education as our duty, responsibility and honor."